Book Review by Matthew Govan* | Stuart Webb and Ronald Ousky are two of the most experienced and knowledgeable Collaborative attorneys practicing Collaborative Law. Stu is the founder of the Collaborative Law movement and Ron is an early pioneer of the process. Both actively and exclusively practice Collaborative Law and train other professionals in this process. More that just theory and research, Stu and Ron bring an abundance of experience—20-plus years each—and practical knowledge like few others are able to. 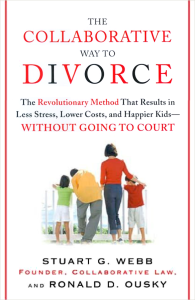 Written for the consumer rather than the practitioner, The Collaborative Way to Divorce explains Collaborative Law and guides divorcing spouses through its approach as applied to divorce. Stu and Ron break down the divorce process into eight basic stages, looking at each via the Traditional and then the Collaborative Law lens. They begin, as would the consumer, with how to find a good attorney and end with how to resolve issues that might arise post-divorce. The book also includes appendices that discuss the process of identifying issues and goals for the pre-, post- and pending-divorce process. One particularly helpful chapter, “Divorce Alternatives: Is the Collaborative Process Right for You,” is extremely helpful to the consumer to determine if they are likely to find success in the Collaborative Divorce process. There are 10 questions the reader is asked to answer. Each question is then fully explained and expanded upon, providing some fantastic insight into the mindset that is most likely to see success in the Collaborative Divorce process (especially when coupled with finding a skilled Collaborative practitioner with whom to work). Stu and Ron thoroughly explain the roles of the Collaborative team members (attorneys, coaches, financial neutrals, child specialists) who are often included in the Collaborative Divorce process, and how those members interact. The book describes a Collaborative team process where there are two sets of coaches—one for each spouse. However, there are slightly varying models depending on one’s jurisdiction; here in Maine, for instance, most often the single coach model is used. In this model, both parties and their attorneys would utilize a single coach to handle emotional and communication issues. Regardless, coaches work with the parties and attorneys to improve communication and act as facilitators for the team meetings and sometimes for interactions between team members. In a nutshell, the take-away from the book is this: If your goal is a win-win resolution for all parties—including children—Collaborative Law is a real and positive option for you. 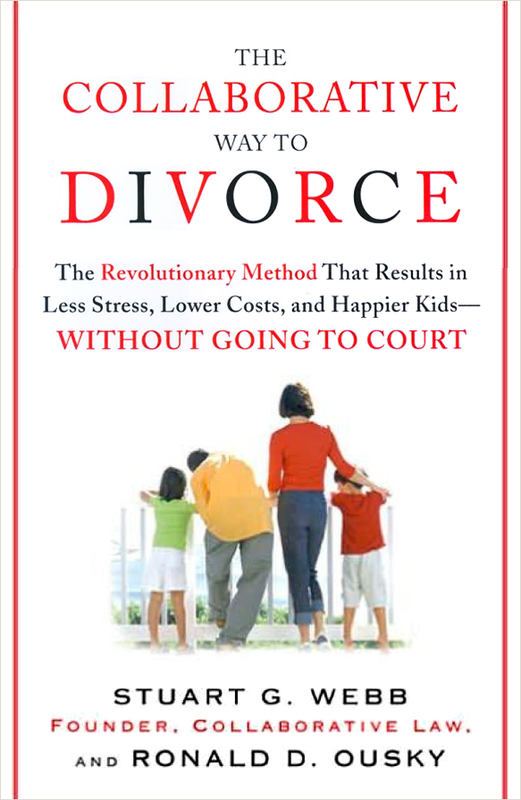 *Attorney Govan has come to value this book so much that his office will provide a free copy of The Collaborative Way to Divorce to anyone who would like one—whether you are an individual seeking a divorce, a clinician or educator looking to add to your library, or a concerned family member or friend. Please feel free to come to the office of Govan Law at 97 India Street in downtown Portland, Maine; just ask at the reception desk for a free copy.